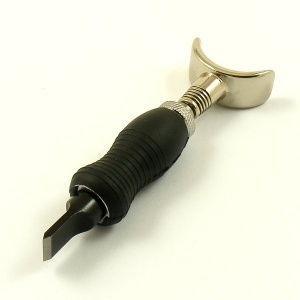 A swivel knife is the most useful tool for carving veg tan tooling leather. The knife body can house a variety of blades - straight, angled, and textured blades in several sizes. 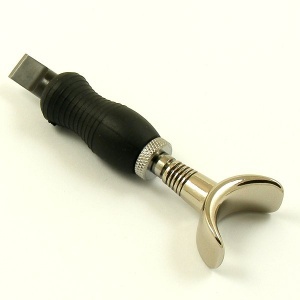 This luxury swivel knife has a soft, shaped rubber handle, designed for maximum comfort and balance in your hand.